Socks are the very bane of my life. The Boy's socks more than anyone else's. The Tween, in secondary school, is trussed daily into 40 denier black tights regardless of the weather. The TeenTwins, having left school, barely get out of their onesies long enough to trouble the sock drawer, but The Boy wears socks every day. He needs socks and I need them to be in pairs. And they are never in pairs. I don't know whether the washing machine eats them or The Boy eats them, but his collection of socks has grown ever singular. At the last count, there was 17 solo socks in his sock drawer. Seventeen. Seven. Teen. It was then I had a brainwave. My thought processes ran thus: If I buy lots of socks of the same pattern, there will always be a pair of matching socks. So I did. I bought lots of black socks and then I bought some patterned socks, three packs of the same patterned socks and proceeded to feel quite smug. I'll tell what can go wrong. There may always a pair of socks to hand of a morning, but because there are many, many pairs of the same socks it's hard to tell if the socks The Boy has on one day are different socks from the socks he had on the day before. But it was only, while excavating a small mountain of Lego and penguins, I discovered the full horror of my sock strategy. 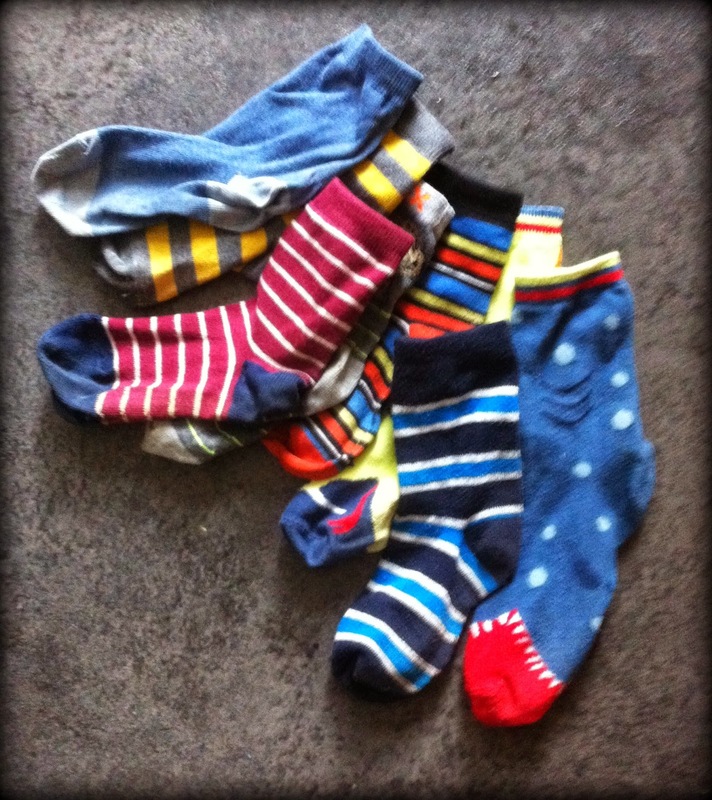 I unearthed a small hoard of socks, all matching and in pairs admittedly, but far too clean to have gone through the daily rigours of The Boy's life. I looked at The Boy's grubby sock clad feet, I looked at the hoard of perfectly clean, unworn, unsullied socks. I looked at The Boy's feet again. I looked at The Boy. Five days he'd gone in the same pair of socks. FIVE DAYS. He was even proud about it. 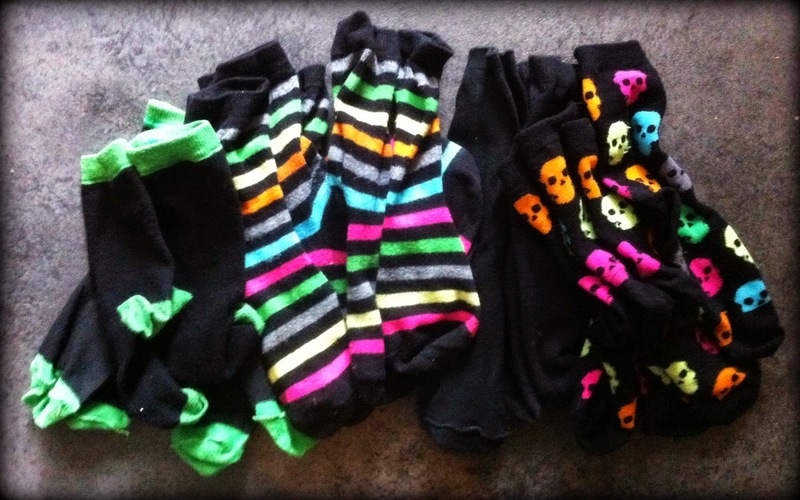 Tomorrow I'm buying more socks, in many, many colours. Oh, that deserves an award. Go The Boy.